The largest political event of the year in China is «two sessions.» The National Peoples Congress (NPC) is the national legislature of the Peoples Republic of China. The party have 2,980 members (2018) and it is the largest parliamentary body in the world. As the NPC and the Peoples Political Consultative Conference (CPPCC) are the main deliberative bodies of China, they are often referred to as the Lianghui (two sessions). Its annual meetings provide an opportunity for the officers of state to review past policies and to present future plans to the nation. In theory, the NPC is the highest organ of state power in China, and all four PRC constitutions have vested it with great lawmaking powers. In practice, however, it usually acts a rubber stamp for decisions already made by the state`s executive organs and the Communist Party of China. One of its members, Hu Xiaoyan, told BBC in 2009 that she has no power to help he constituents. She was quoted as saying; «As a parliamentary representative, I don`t have any real power.» But the Chinese leader Xi Jinping have. 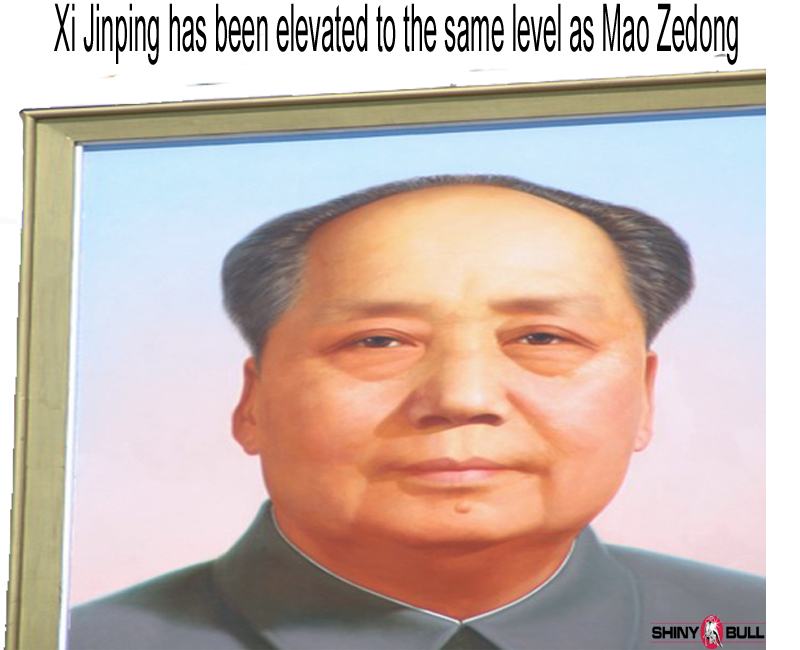 The parliament is expected to rubberstamp major constitutional changes that will elevate the power of President Xi Jinping which means Xi Jinping has been elevated to the same level as Mao Zedong. It will also confirm dropping China`s two-term presidential limit which means Xi could stay in power for life, leading China according to his new ideological guidelines, known as «Xi Jinping Thought». Lianghui last between one or two weeks and this year the CPPCC started on 3 March and the NPC started on 5 March. The Chinese premier Li Kequang said that people in China must be fully prepared for a tough struggle. He warned that there will be greater risks ahead for China. «Two sessions» comes amid tariff tensions with the U.S which is Chinas largest trading partner. As you may know, the U.S have placed huge pressure on Chinas economy and financial markets. Therefore, Li said that the growth target for 2019 will be 6,0 to 6,5 percent. This years growth is in line with economists’ expectations. Last year, the Chinese economy grew at its slowest pace since 1990, expanding by 6,6 percent in 2018. Last year, President Trump announced additional tariffs on $250 billion worth of goods from China and Li warned that the trade war with the U.S has so far had a negative impact on business activities in China. But the tariff battle could soon ease while the two largest economies in the world are in the final stages of the trade deal that could end this month. Li reiterated Beijing`s commitment to «safeguarding economic glabalization» and pledged to promote China-U.S trade negotiations while advancing negotiations on other trade agreements. Retail sales in China have slumped and as a result of that they are doing what President Trump did; they will cut the taxes and boost the growth. Li told the NPC that China would aim to deliver nearly 2 trillion yuan ($4298bn) of cuts in taxes and other company fees. It plans to boost spending and increase foreign firms’ access to its markets. China will also increase its military budget by 7,5 percent to 1,2 trillion yuan. The country`s defence spending is closely watched for any signals as to its military intentions. A slower growth in China is not good news for the West. A slower growth in China means that they will buy less from the West while it accounts for one-third of the global growth. But take official growth figures from China with a pinch of salt. For all I know, I could be as low as 5 percent, but tax cuts could push the growth up again. In the longer run, the growth will continue to decline. 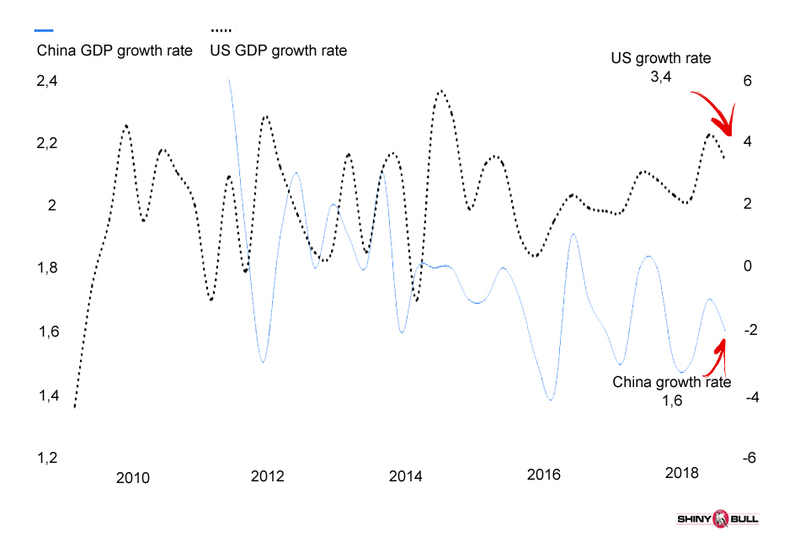 The richer China get, the slower the growth will be.